My dad's birthday was December 28th. Due to weather and schedules, I didn't get over to see him until yesterday. He is retired and doesn't get out much. He prefers to stay home, take care of their 4 pets and work on his genealogy. 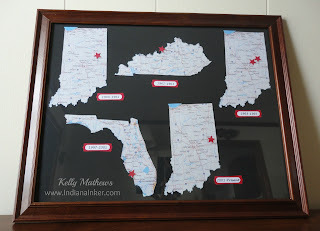 I found this idea on Pinterest and thought it would be something different that I could do for him since he has lived in 3 different states over the years. He was born here in IN, went to school in KY, moved back to IN to raise his family, then moved to FL for a few years and is now back in IN. As you can tell, my photography skills aren't the greatest due to glares. The stars represent the towns/counties that he lived in. The red and white tabs underneath show the years in which he lived there. The maps are printable from a site called National Atlas. They have a few different map options for each state. After printing, I cut it out and adhered it to a piece of poster board. The section on the left, I laminated it for him to use as a bookmark. 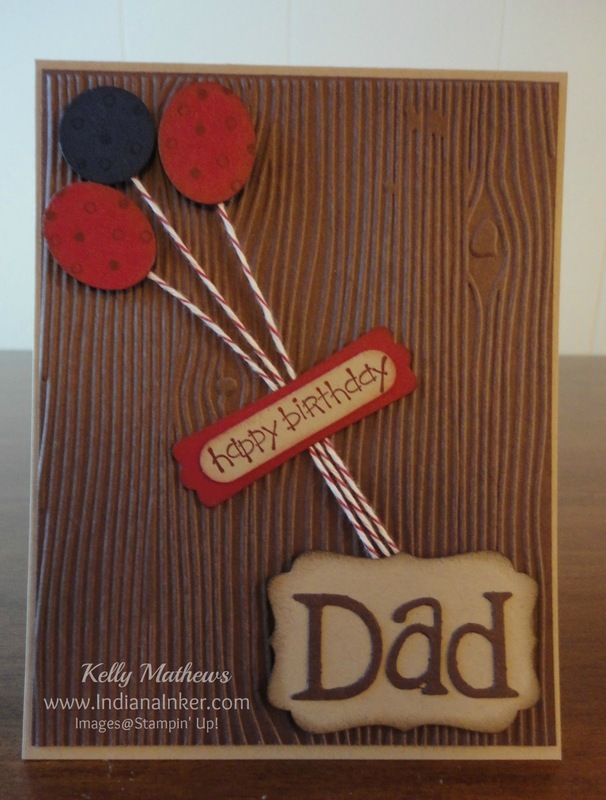 This is the card I made for him. What a lovely thoughtful gift! I'm sure your Dad appreciated it! Lovely gift idea! The texture on the card is my favorite though. Very eye catching.